For many of us, 2011 presents a unique challenge as we continue to fight through a lingering recession. Some of us have been lucky, but for many, budgets are tight; and, as a result, you'll want to stretch what you have if you're planning on holding onto your car for awhile. This means resolving to be a better owner in the coming year. It's easy to overlook the small responsibilities as a vehicle owner, so we've compiled our top five resolutions below to ensure you've got the information you need to keep your car in top shape throughout the next year. After all, owning a car should be fun, not a hassle. Resolve to schedule two checkups this year. Regardless of how well you think you know your vehicle, a well-trained technician can spot things ahead of time that you might miss. Taking the time to schedule a checkup twice a year may seem obsessive, but preventative maintenance at the hands of a qualified professional is cheap insurance. Also, keep all the documentation; being able to provide a potential buyer with all of your service records is a major buying incentive. Excess dirt and grime can act like sand paper, creating unnecessary abrasion that can wear down upholstery and carpeting. Vacuum your car on a regular basis, and wipe down the surfaces with a gentle cleaner. Dropping a small bin or plastic bag dedicated to trash in the backseat will make cleaning even easier. Keeping things tidy can keep you aware of problem spots inside, too, allowing you to get them repaired before they grow worse. If your tires have worn unevenly or your wheels are unbalanced, vibration can cause excess stress on suspension components. Excess stress on certain car parts can mean extra trips to the mechanic and potentially hefty bills. Avoid that by checking that the tread on your tires is wearing evenly and taking your car in if it's not. 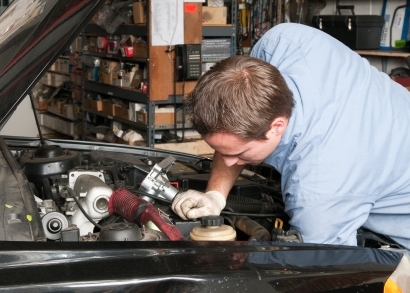 Checking on your vehicle's fluids is paramount to its longevity. While some fluids like brake fluid, clutch fluid and coolant may not require attention as often as oil, they're just as important. Mark one day on your calendar each month to make sure all of your fluids are topped off. It's quick, easy and can save you some serious repair dollars down the line. Of course, remember to change those fluids when your service manual requires it, too. This is perhaps the easiest responsibility to overlook, but the potential consequences of doing so can be cataclysmic. It's easy to hear a strange noise in your vehicle and hope that it will go away. Unfortunately, there aren't any cars out there that can heal themselves, at least not yet. Don't put off minor maintenance or easy repair work. Doing so can lead to larger problems and larger repair bills in the end. Bite the bullet, fix what's wrong and your car will last a lot longer.